The B-36 was under development in 1941 and first flew on August 8, 1946. 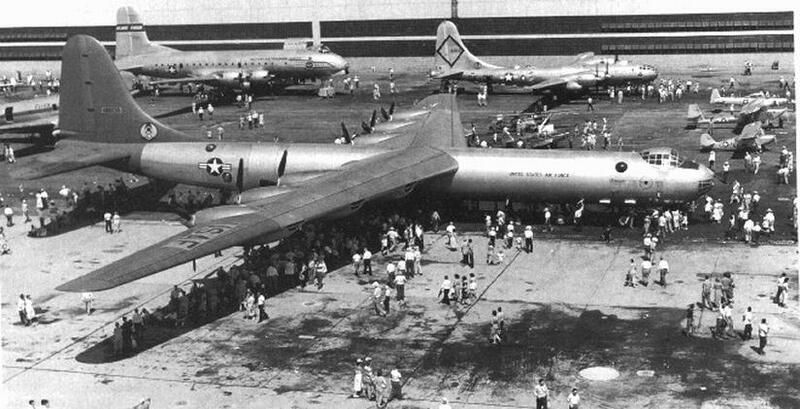 The first operational models were delivered to SAC in 1948, but due to early problems the B-36 units were not fully operational until 1951. The B-36 cost $3.6 million each. It had a 3,740-nm combat radius with a 10,000-pound payload, or a 1,757-nm radius with a maximum bomb load of 86,000 pounds. 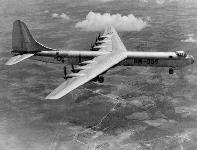 The last B-36 was built in August 1954, for a total production of 388 aircraft. 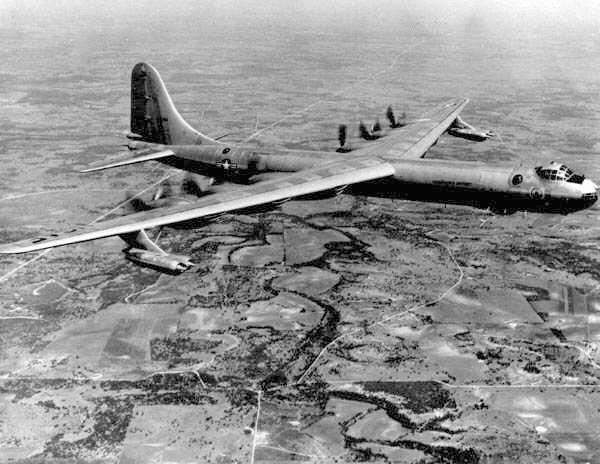 The B-36 force was modernized with the advent of the long range B-52. On 29 June 1955 the first B-52 was delivered to SAC. 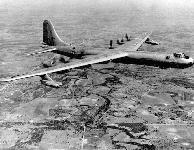 At that time there were 340 of the B-36s assigned. 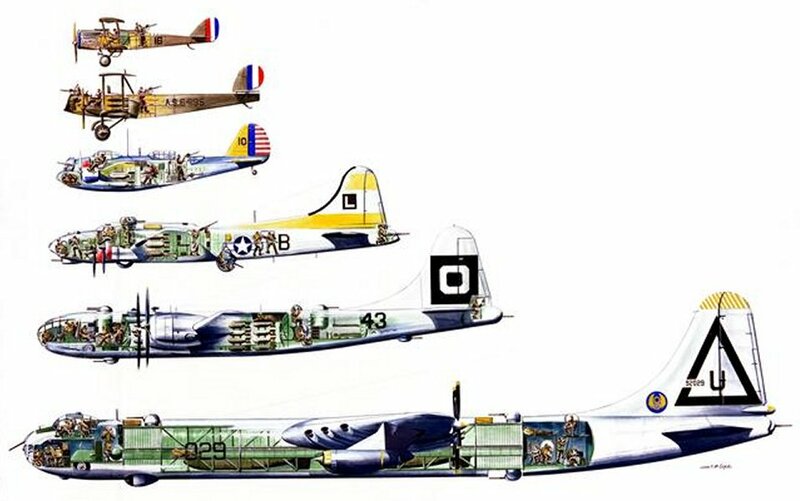 When the last B-36 was retired in 1959, for a service life of 8 years, there were almost 500 B-52 aircraft in the US bomber fleet The B-36, an intercontinental bomber, was designed during World War II. The airplane made its maiden flight Aug. 8, 1946, and, on June 26, 1948, the Strategic Air Command received its first B-36 for operational use. 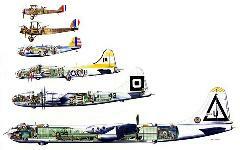 By the time production ended in August 1954, more than 380 B-36s had been built for the U.S. Air Force.